The UK’s Civil Service is already smaller than it has been at any time since World War II (WWII). But the general consensus within parliament and within the economic and political communities is that this is only a start and that the service needs to be made smaller still. Whether that further contraction should be by a relatively modest 10% or by a huge 90% (as suggested recently by one government minister) remains open to debate. It makes sense for every country to have the smallest civil service it needs to run the country efficiently. And when you think of all the extra post war administrative burdens placed on the UK – reams of employment law; health and safety law; European Union law and obligations; the welfare state etc. – have we really done so badly in keeping the size of our civil service at the levels we see now? 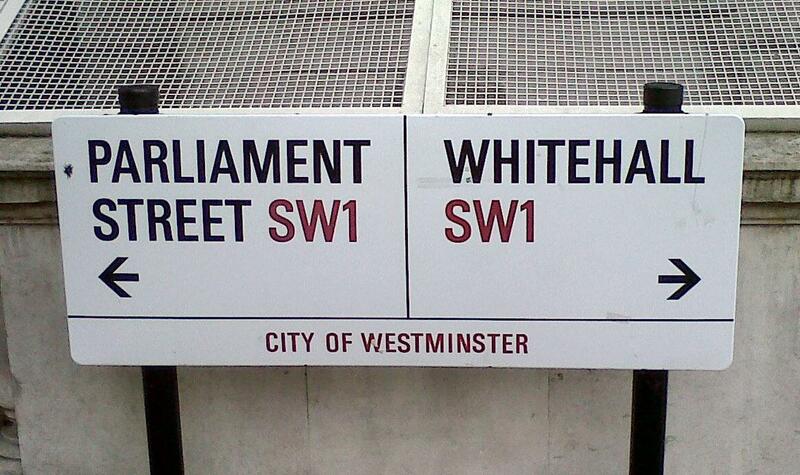 From my time in Whitehall, one of the biggest problems faced by civil servants when being asked to cut numbers is that their political masters either cannot or will not decide what areas of work no longer need to be done. After all, everything the civil service does is born of some political or administrative need. This political procrastination, however, always results in a little tinkering around the edges and the remaining civil servants being told to do more with less. Three decades of this approach has actually resulted in an institution that, whilst being far from lazy, is grossly inefficient. Recent OECD figures on annual average hours worked by individuals across its 34 members, places the UK quite poorly on just 1,647 hours per worker per annum. This figure is not one that I relate to, either from my time in Whitehall (where my co-workers and I easily exceeded that figure by more than 400 hours) or from knowledge of the even longer hours worked by my friends and colleagues in the private sector. Whilst there are lazy individuals in any large organisation, implying that dealing with a few lazy civil servants will turn Whitehall around is just living in a strange politicians’ fantasy world. There are institutional issues and gross inefficiencies but it would take a surprisingly enlightened and creative government to develop and install a more efficient model based on current expectations of what the service must deliver. Now, because of pay curbs (and a pension that, whilst still very good, is nowhere near the gold plated carrot it used to be) the civil service is finding it difficult to attract and recruit the best new talent. These are the findings not of some hardened egotistical Whitehall mandarin but of Lord Browne – a man brought in from the private sector to improve the way Whitehall is run. This doesn’t auger well for the future of our civil service and the administration of our government. We need to attract the best and brightest into the civil service and they need to be given manageable portfolios, allowing them to give the best of themselves and the best to our government. The simple fact of the matter is, if the Government wants to drastically reduce the size of our civil service, hard decisions need to be taken about what we as a country stop doing. At the moment, our political generals are simply flogging a terminal old nag and expecting it to win the Grand National. My advice to the Government is “stop tinkering and get radical”. If you want a civil service 50% smaller than it is today, you will need it to stop doing 50% of the things it currently does – new efficiency measures simply will not change this equation by more than a few percentage points. The difficulty here is who assesses what can reasonably be delivered with such a reduction in resource? Politicians will expect far more than is reasonable from a drastically downsized civil service (most have no concept of what is reasonable because their political life is a 24/7 calling, rather than a job) and senior civil servants will generally offer more than their smaller teams could hope to deliver well (a mixture of ego and self-promotion usually clouds their judgement in such matters). And, actually, both parties are terribly change-averse. If a fleet-of-foot, innovative, efficient, thoroughbred of a civil service is what is aspired to, Lord Browne and his business colleagues should be given free rein to develop such a model. Only business-people have the tools and experience to deliver this level of institutional change and they can only do it if they are allowed to.